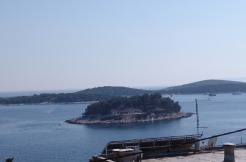 If you are thinking of selling a property or land on Hvar Island, then you could not be in better hands. The selling process is more rigid than it ever used to be, even a few years ago, and with many new regulations, it is important that any advice you are given comes from a knowledgable and professional source. We will lead you through the necessary process in order that your property has all the correct documentation so that it can be sold without any illegalities. It is hugely important to understand that the current regulations requires potential sellers to have a legal property before it can be sold. Before we can start marketing a property for our clients, we do request the following information in order that we can establish that the property can be sold. O.I.B of the seller – this is your unique Croatian ID number which would have been issued when you purchased the property. The plot/building number – this is stated on any sales contract, alternatively we can trace it independently. Your property may require one or all of the following, a building permit, a usage permit, a division of property. These are all official documents that state a building has been built legally, and is legally divided into separate units. Location information report- this is a report that states what can be built in the area and the limitations. This is an invaluable document if for example building land is being sold. An energy certificate is legally required before a property is sold, and we recommend our clients to commission this as part of the marketing process. We are able to organise an energy certificate on behalf of our clients. ID card or passport in order that we can identify we are communicating with the legal owner of the property. Our fee for introducing a buyer to your property who subsequently signs a sales contract is 3% plus 25% PDV (VAT). I recently bought a building land in Croatia. However I wasn’t told that there is a problem with road access onto my land. Therefore I’m not allowed to even apply for building permission untill there is clear road access. What can I do to get my money back as I have purchased from a private seller and not an agent? 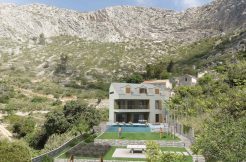 Why is Croatia allowing people to sell building land without the obvious road not being present? Perhaps I should have done more research before purchasing, but the price was to good to let is slide. Thank you for your comment, the saying “there is no such thing as a free lunch” comes to mind, if it is too good to be true, then it probably is! A good agent is worth their weight in gold, as is a lawyer where due diligence is carried out. Did you have a lawyer acting for you, if so then take advise from them? I do agree that building land requirements should be easier to understand. If a piece of land falls within a building zone, the owners and even some estates agents will sell it as building land even though it might not be possible to build on it for a number of reasons. It is not easy to understand what actually can be built on and what can’t!